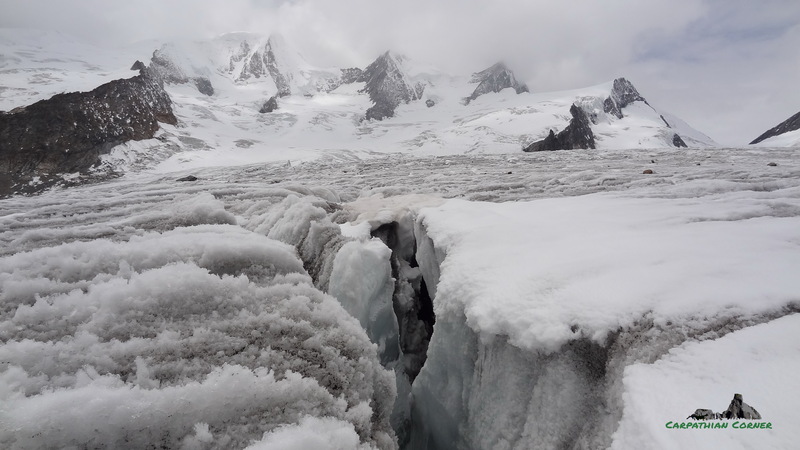 As a mountaineer and geographer I was constantly fascinated by glaciers and countless times I dreamed of exploring the realm of ice. 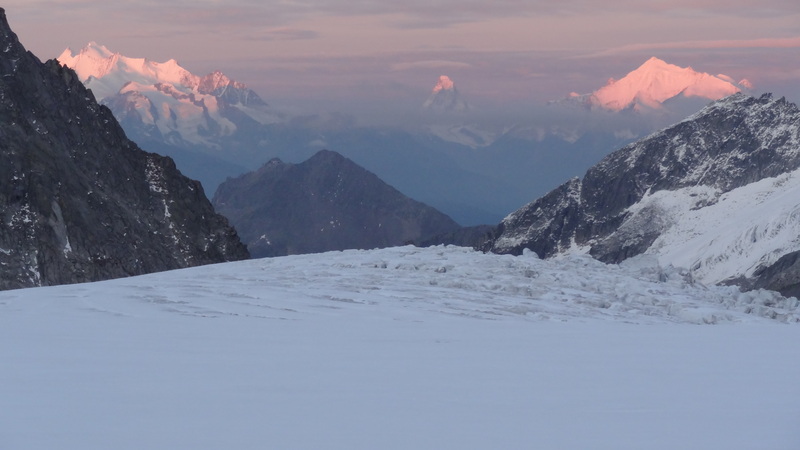 Well, that dream came true in high detail in the summer of 2011 when, accompanied by three other fellows, I stepped into the frozen heart of Switzerland: Bernese Alps, one of the most heavily glaciated areas of the Alpine chain. 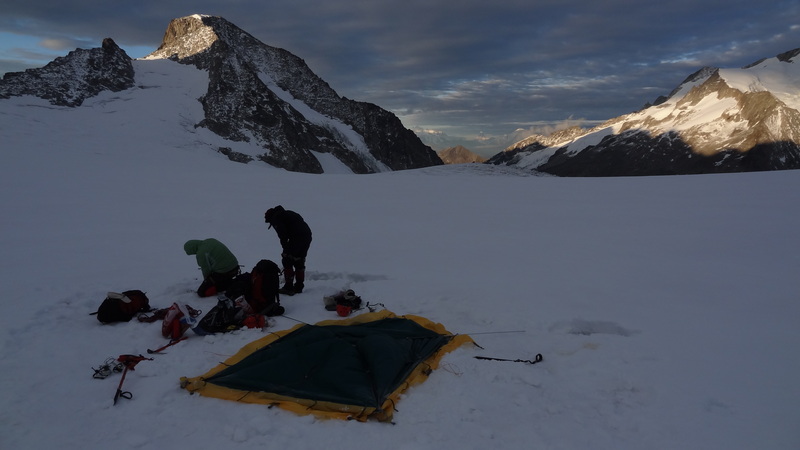 During an extended tour that took almost 2 weeks, we moved across the two longest glaciers of the Alps and few others more, camping from one place to another, dealing with big crevasses – some of them very well hidden, performing a crevasse rescue and ascending our first 4000 er. 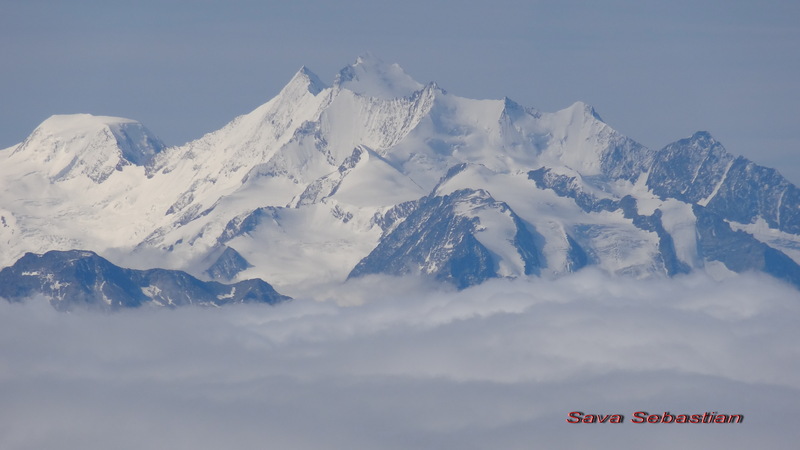 Getting to the high peaks of the Alps from the eastern frontier of European Union in one day is not an easy thing. 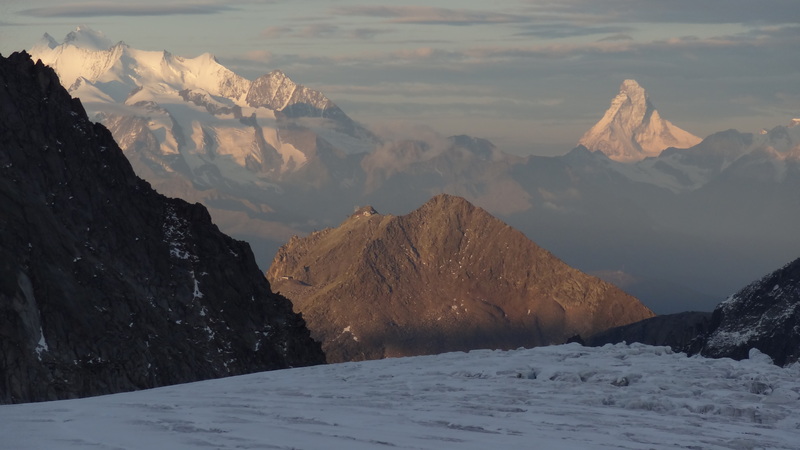 It requires a kind of ,,blitzkrieg” style approach: traveling continuously for 10 – 15 hours, using different means of transport with many changes, hiking the trail for the last few hours of the day till you reach the hut or the camping place. So, the scenario for this day was: car (Iasi – Bacau), plane (Bacau – Bergamo), bus (Bergamo – Milano), train ( EuroCity Milano – Brig), train (Brig – Oberwald) and finally again bus ( Oberwald – Grimsel pass). 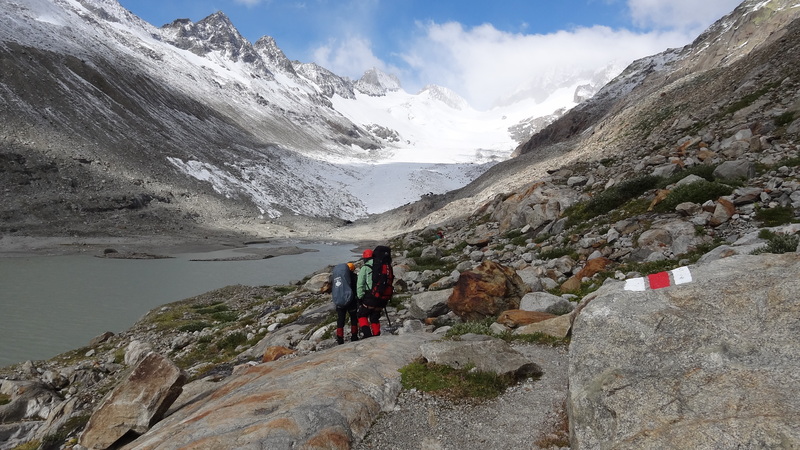 From Grimsel pass we walked on the six kilometer long scenic road till Oberaar See, traversed the dam and continued on the north shore of the lake. It was getting dark when we set up the tents. 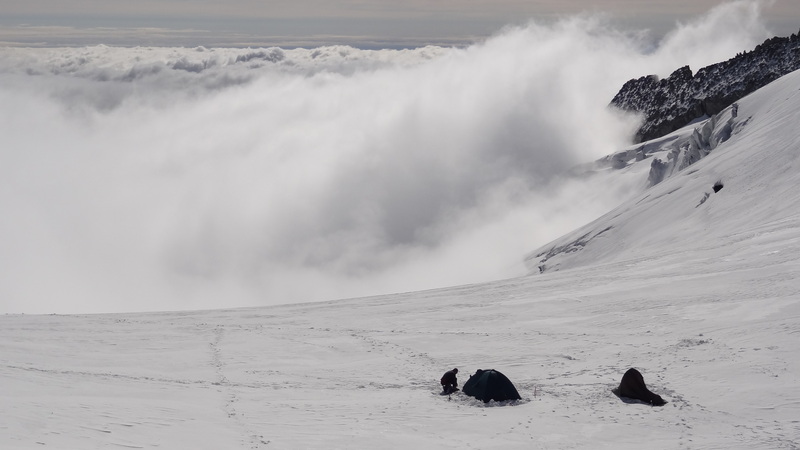 I think it was the most tiring day of the whole journey beacuse we had to gain 1000 meters altitude, during a long ascent on Oberaar glacier, carrying our big and heavy backpacks. We had provisions for 10 days. When we exited the tents in the morning, surprise! Wintertime conditions came unexpectedly overnight. Everything around us was covered with fresh snow. We followed the marked trail (red sign) along the lake for about 3 kilometers till the end of it. Higher up we got onto the glacier, leaving the Oberaarsee behind. 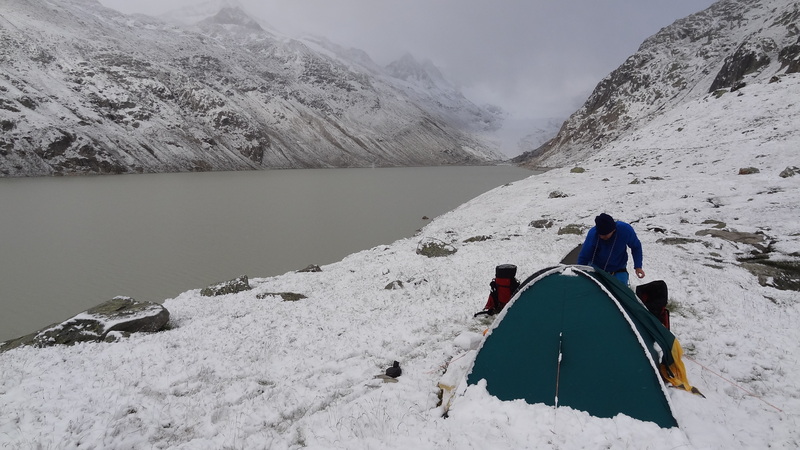 After 7 hours of strenous hike along the left side of the glacier we finally reached the Oberaarjoch saddle, where we set up our tents. 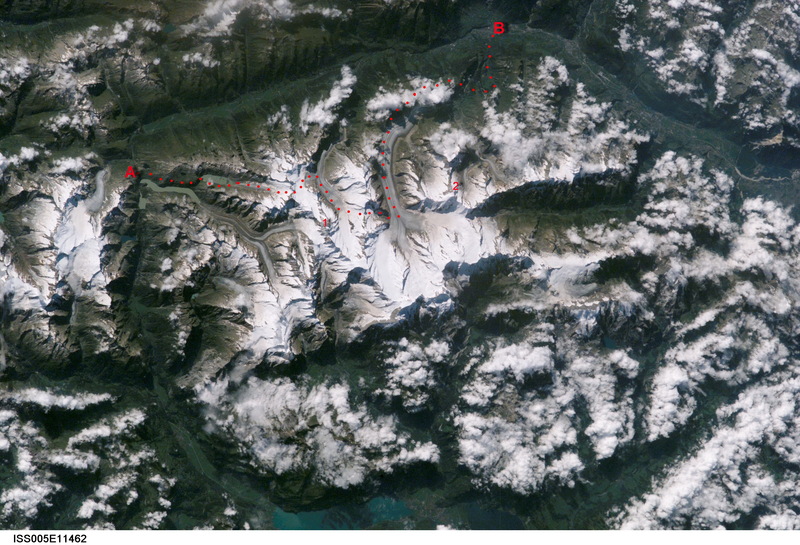 That day we were supposed to reach Finsteraarhorn hut on the trail that goes through Gemslucke (3342m alt.) on the S-E side of Finsteraarhorn. 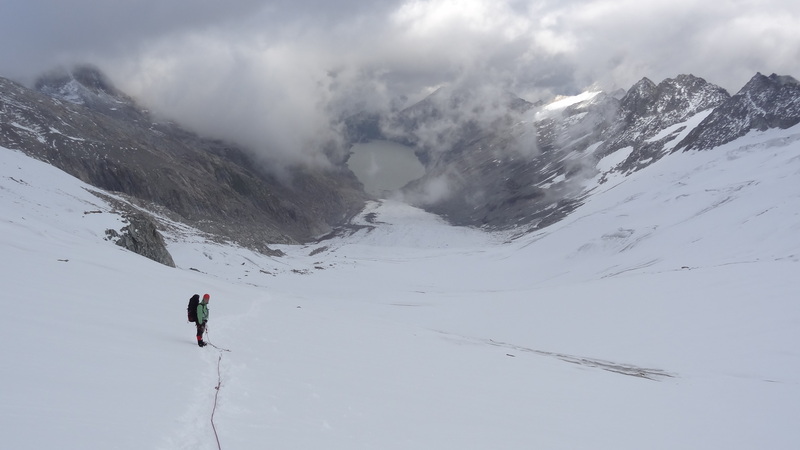 Because of the late start( around 11 – 11:30) we opted for the easier but much longer route around the entire Finsteraarhorn ridge. 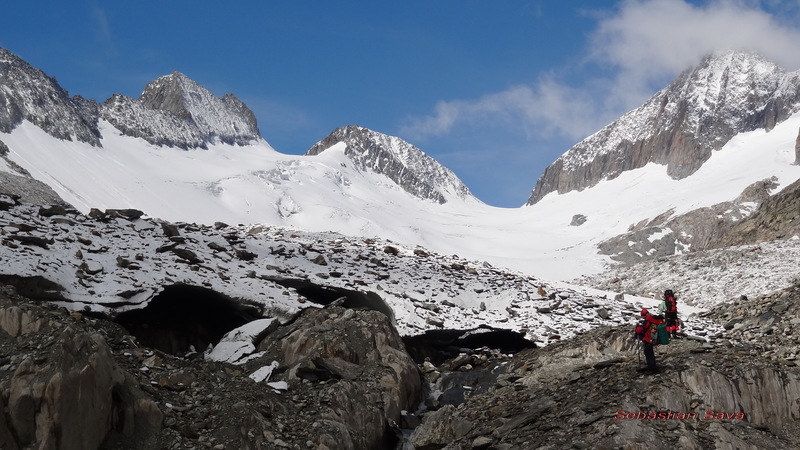 This means going down on Studer glacier right to the confluence with Fiescher glacier and from here, going up the Fiesher glacier until we reach the Finsteraarhorn hut. Initially we followed some traces on the ice but after a while they dissapeared totally because of the fresh snow we thought. 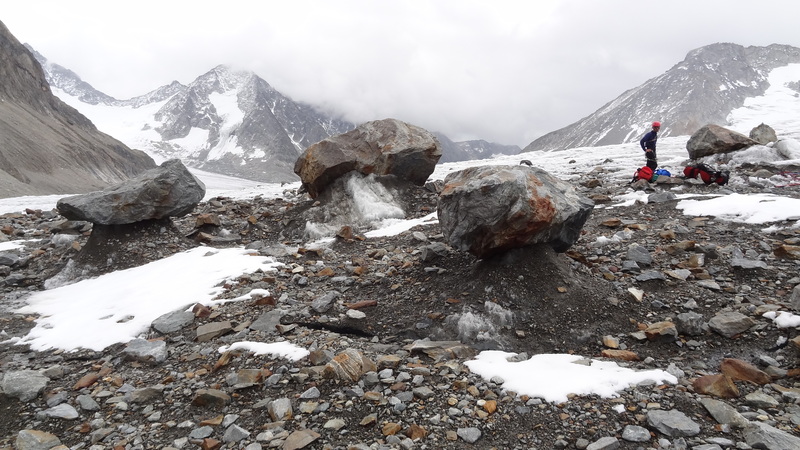 So fascinated by the surroundings we continued to walk on the completly flat cirque of Stuedel. The snow was glistening under the bright sunshine. Suddenly Vlad dissapeared out of my face. We were roped; Vlad first, me the second, Catalin the third and Lili the last one. I jumped down on the ice while screaming so the other 2 mates behind me could hear and do the same. 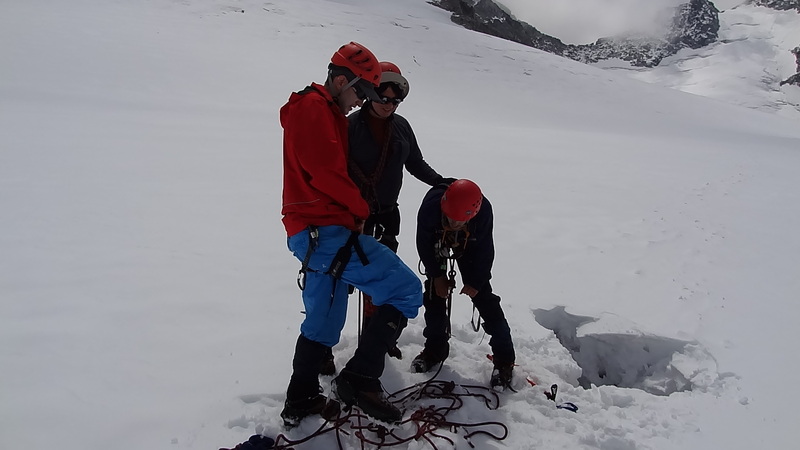 We proceeded quickly to get Vlad out of the crevasse; he fell 3 meters and he was a bit under the shock but had no injuries. It was for the first time when we experienced such a thing and we improvised a lot during the extraction. 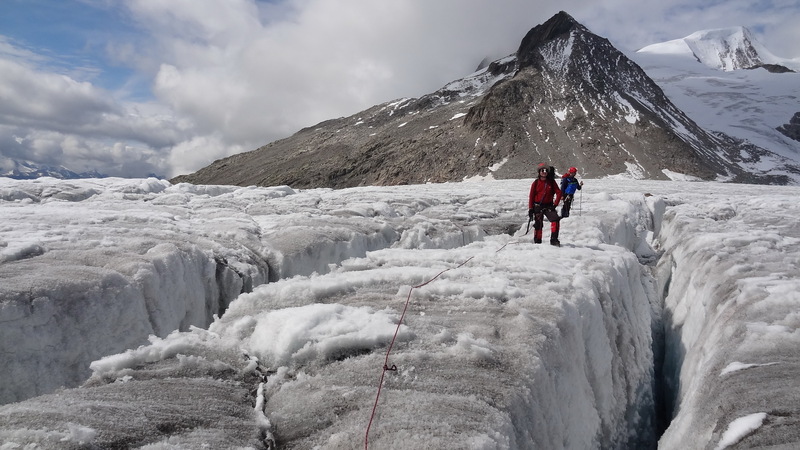 We kept the rope tight till he managed to put his feet firm on the ice walls of the crevasse. Vlad was carrying 2 backpaks, a small one on his chest and the big one on his back. So, we pulled the backpacks first, one by one as he got rid of them. Then we helped him to get out of the claustrophobic and cold icy trap. 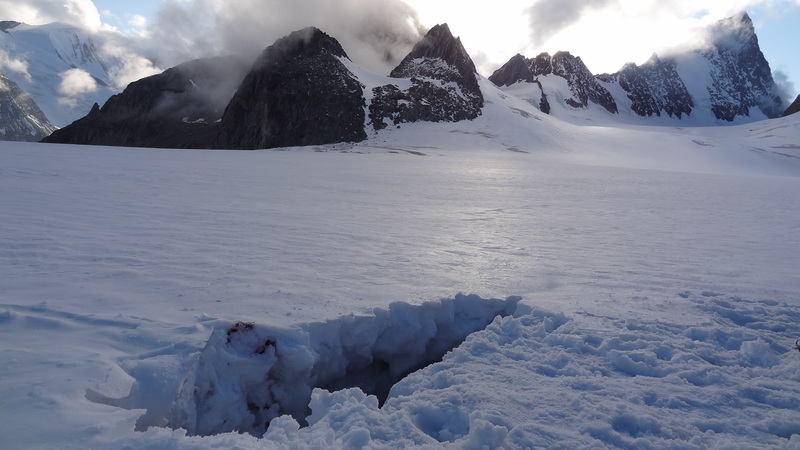 Soon we realised we were in a middle of a minefield, cought in a labirynth of crevasses. It would’ve been too dangerous to continue on this terrain in such conditions. The decision was taken immediately: to camp overnight right there. It was around 2 pm. We used our trekkingpoles to test the snow in order to secure a safe zone. 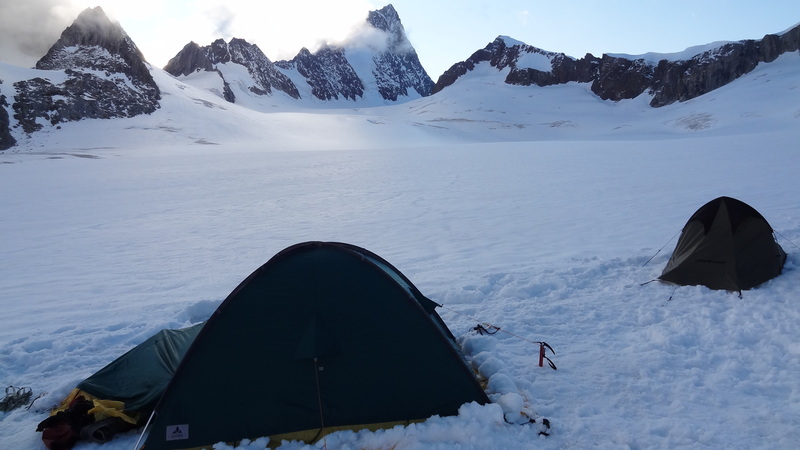 Then we pitched the tents and enjoyed our time there in an absolute loneliness, exercising rescue methods. 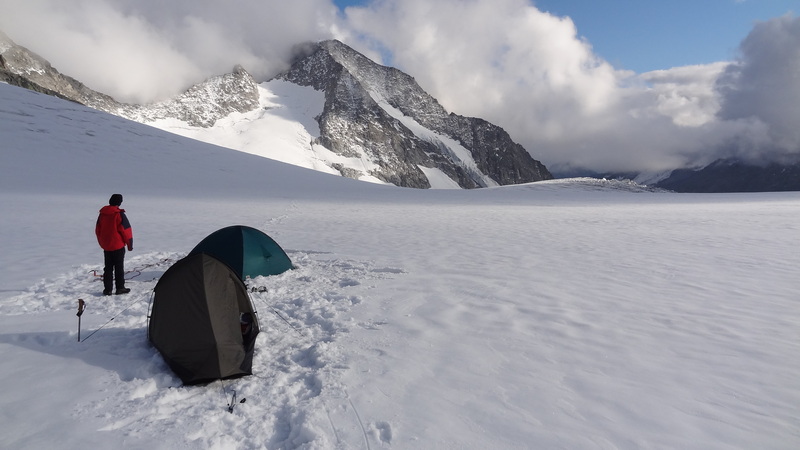 Having the lesson learned from prevoius day, we woke up at 4:30, packed our stuff quickly and by 6 o’clock a.m we were already passing (not without stress) the snowy/icy frozen bridges that covered this field of crevasses on Studer glacier. 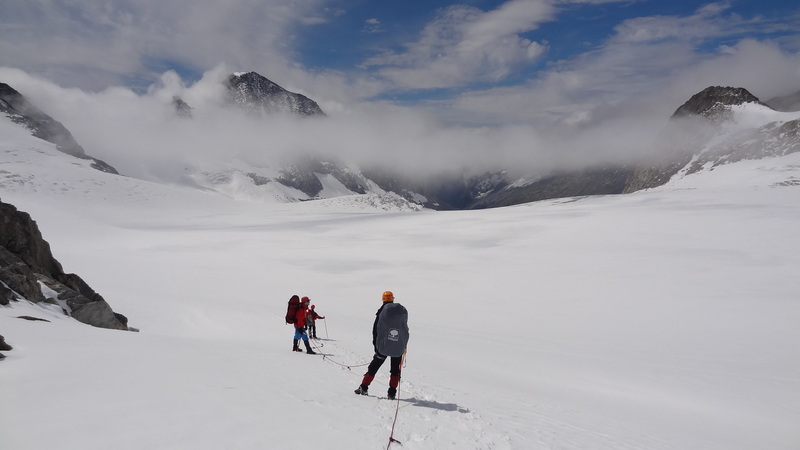 Later on, the enviroment became more friendly as we descended on the more visible terrain – the tongue of the glacier, towards the confluence with the Fiescher glacier. 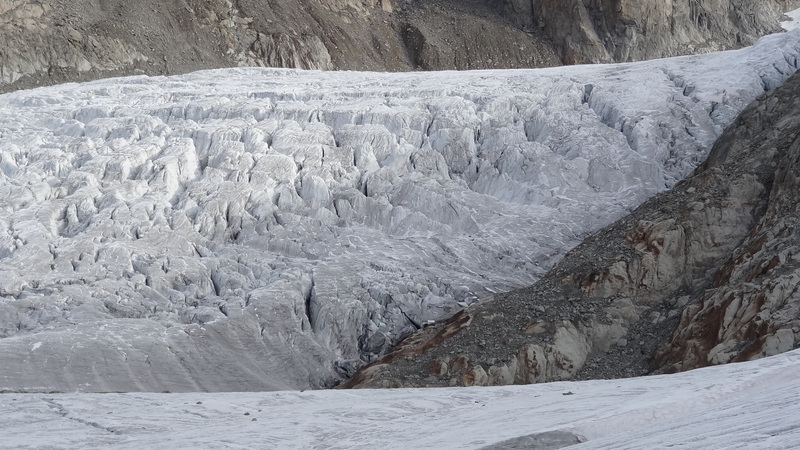 Fiescher glacier is the second longest glacier in the Alps (16 km in length).It is flanked by Gross Grünhorn and Gross Wannenhorn to the west and by Finsteraarhorn to the east. 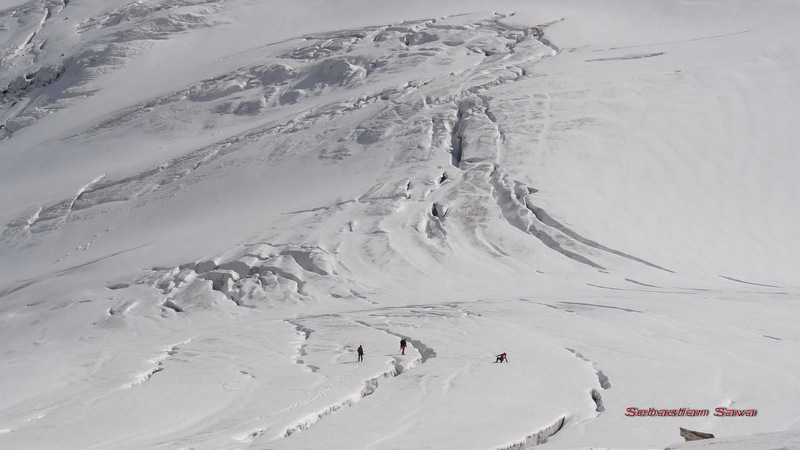 Here was the first time when we faced very big crevasses. Absolutelly impressive! 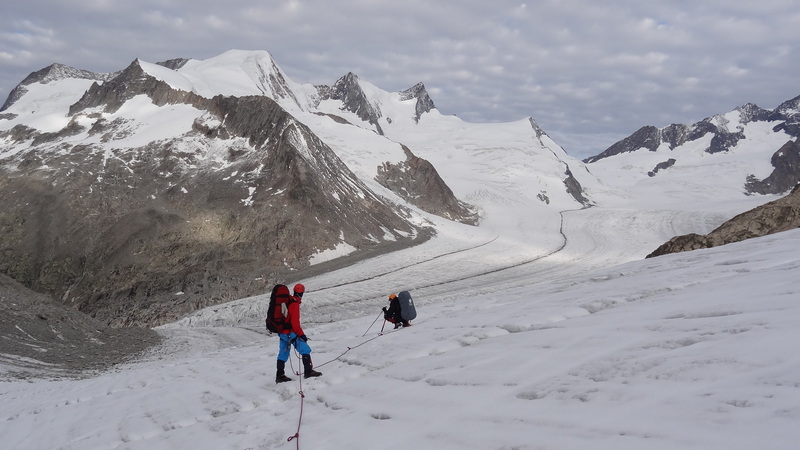 We kept moving on a slow pace without incidents till we reached the point were we had to leave the glacier and climb 100 meters above it, in order to get to the Finsteraarhorn hut (3048m alt.) 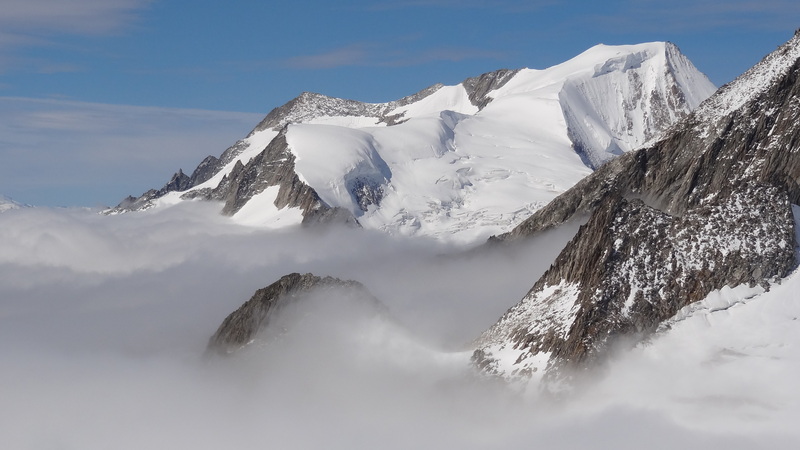 on the south western side of Finsteraarhorn. Rest day for some of us, not for me and Catalin. 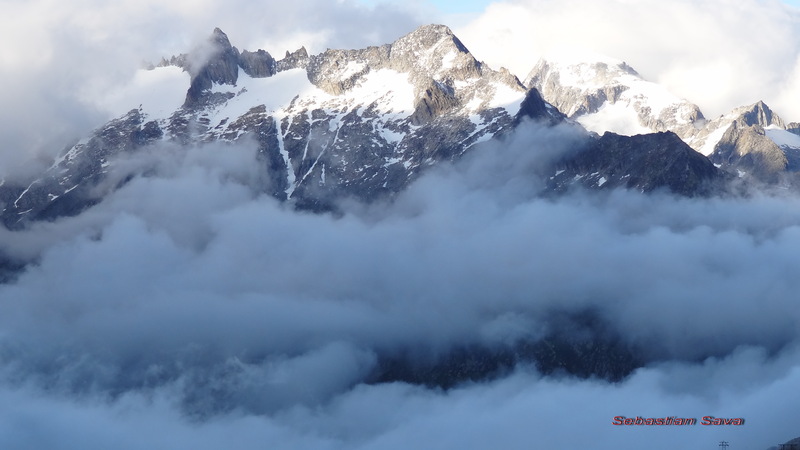 It was overcast and snowed a little bit, but we did a nice hike up to the former hut (200 meters more in altitude). 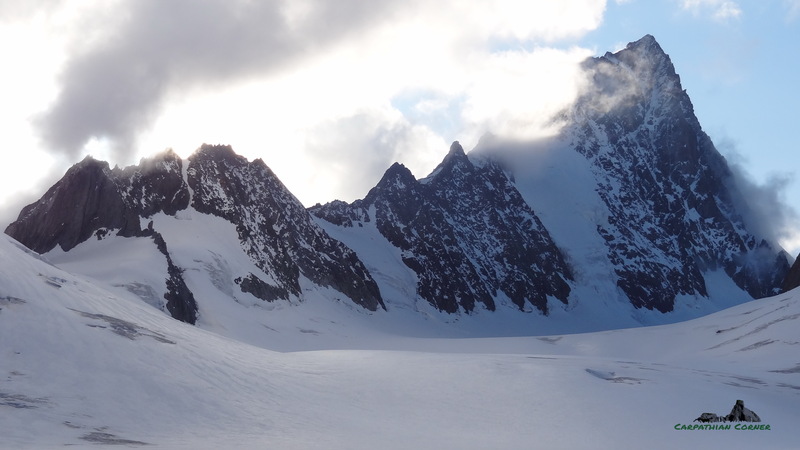 Had plenty of time to gaze at the Fiescher glacier and the peaks on its right side.